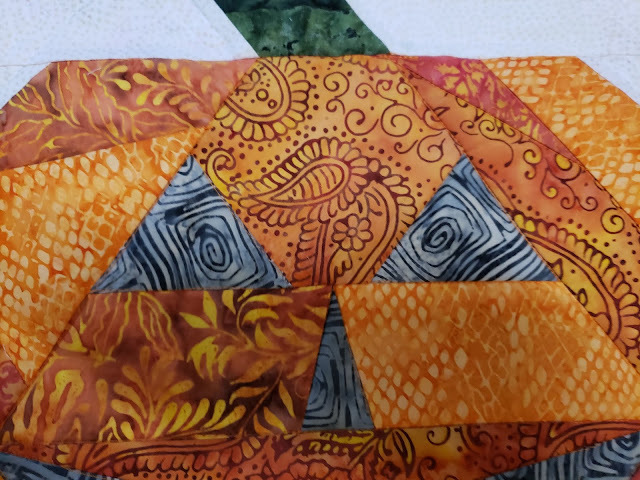 Masterpiece Quilting: Happy Halloween - Island Batik Style! Happy Halloween - Island Batik Style! 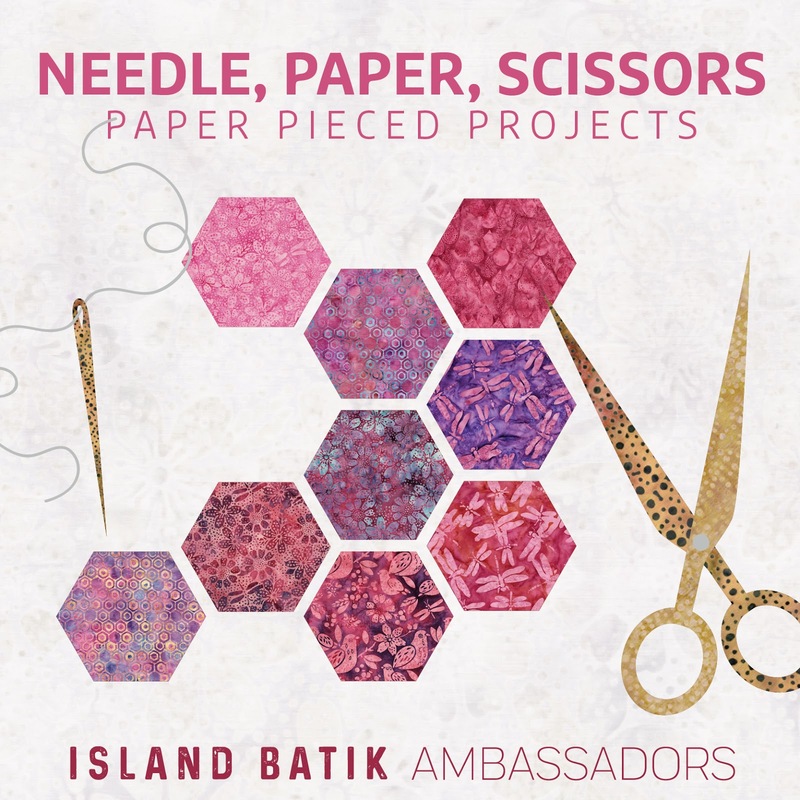 For this month's challenge, the Island Batik Brand Ambassadors have been working with Needle, Paper, Scissors as the theme! I will be honest, paper piecing is not my favorite technique.... but I'm not afraid of a challenge! I wanted to make a fun pattern, something whimsical and why not a paper-pieced pumpkin for Halloween! I have named it Paisley Pumpkin since there is a paisley motif in the fabric in the middle of it's forehead! I started with a digital sketch that I created in my design software. 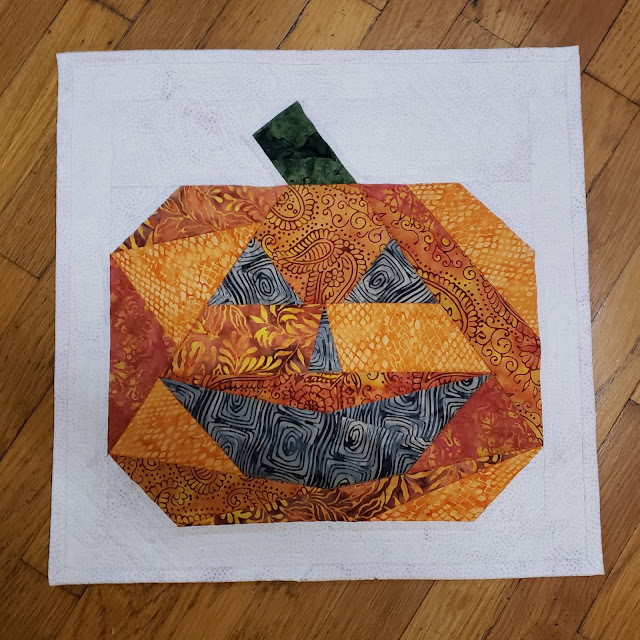 This gave me a general idea of what the pumpkin would look like and most importantly, it allowed me to print the papers for the paper piecing. I'm so pleased with Paisley Pumpkin and I hope you enjoy him too! I used Warm 80/20 batting from The Warm Company but it would have been really fun to have used a super thick batting to give him more dimension. To keep up on all the fun projects I'm working on, be sure to follow me on Facebook at Masterpiece Quilting or on IG @masterpiecequilting. Labels: 2018, 80/20 Batting, batiks, Brand Ambassador, Halloween, Island Batik, Masterpiece Quilting, The Warm Company.